The Veer cast aluminum furniture collection, designed by John Caldwell, features a unique seating surface of gracefully curved cast aluminum slats. The slats appear so light and airy, they appear to float over the collection's frame. The silhouette of the collection "veer" boldly forward in a modernistic way, pointing toward a progressive and exciting direction for casual furniture collections. 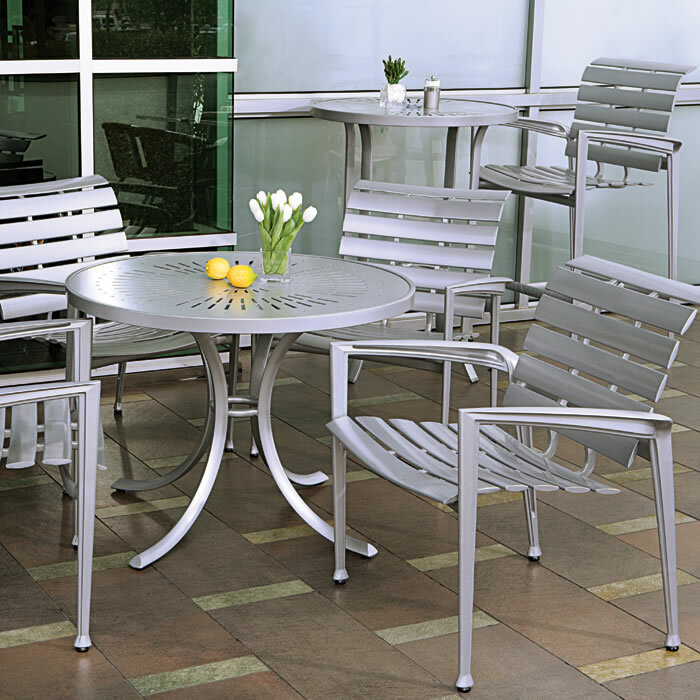 The Veer outdoor patio furniture collection with cast aluminum slats includes a dining chair and bar stool.